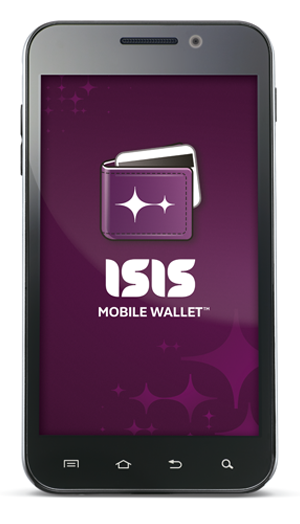 Anyone remember Isis Mobile Wallet, the joint venture mobile payment system created by Verizon, AT&T, T-Mobile? Anyone? No? Thought by many to be the only reason we can’t access Google Wallet on any of those three carriers, Isis’ nationwide rollout will finally happen this year, according to a press release from the company. For those not familiar, Isis is a mobile payment system that allows you to pay for items at during checkout at retailers with your mobile phone. Using NFC technology, a simple tap of your phone to a contactless terminal will allow you to keep your credit card and wallet in your pocket. The service has been in testing since October of last year in Salt Lake City, UT and Austin, TX. Apps for it for each carrier have also been live in the Play store, but in order to use it, you need a special NFC-ready SIM card. We’ve already setup the service on our RAZR HD, providing a full guide on how you can get Isis up and running and obtain a NFC SIM. Are you still interested in a mobile payment system?